Need a replacement battery? Yuasa Battery available now! Rollies Speed Shop is now proudly distributing US made batteries from Yuasa Battery. We all know the importance of having a good, reliable battery. Without one you might not even get out the door. So next time you need to replace yours, consider an option from Yuasa Battery. 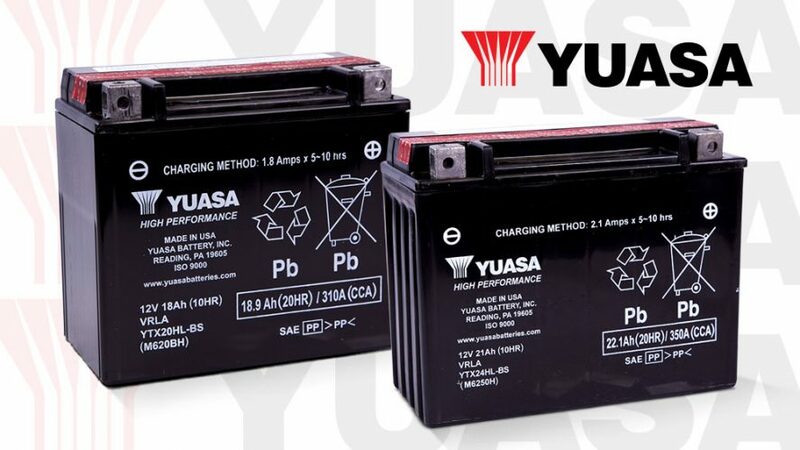 Yuasa Battery have been manufacturing powersports batteries in the US since 1979 and today are the leading manufacturer of batteries for motorcycles, ATV’s, snowmobiles, personal watercraft and scooters in the world. Yuasa’s YTX range meets or exceeds the OEM specs for all powersports applications. They are engineered to protect against corrosion, resist extreme cold and heat, withstand vibration, and deliver high cranking power. The YTX battery range features a sealed, non-spillable design and are maintenance free – no need to add water ever. All Yuasa YTX and YIX batteries are made in the US and perhaps best of all offer the performance and reliability you need at a price lower than the OEM replacement. In short, you get more bang for your buck with Yuasa. 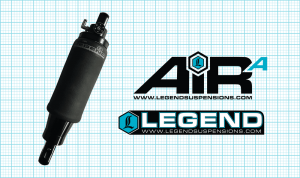 Legend AIR-A Air Suspension for 2018 M8 Softails – The best air shocks money can buy!